Thomas Combe was born in Leicester in 1796, and baptised at St Martin's Church there on 10 August. He was the son of Thomas Combe senior and Theodosia Dalby, who were married at that church on 12 August 1794. His sister Agnes was born in c.1806. His father was the leading bookseller in Leicester, and Thomas came to Oxford in about 1824 to help Joseph Parker with his new bookshop in Turl Street, and stayed with Parker’s sister in Oriel Street, where he met John Henry Newman and Edward Pusey, who also lodged there briefly. He went into partnership in London in 1826 with Michael Angelo Nattali, but after a short period of time went back to Leicester to work with his father in his bookselling and printing business. In 1838 Combe was appointed Superintendent of the learned (or classical) side of Oxford University Press, in succession to Samuel Collingwood. 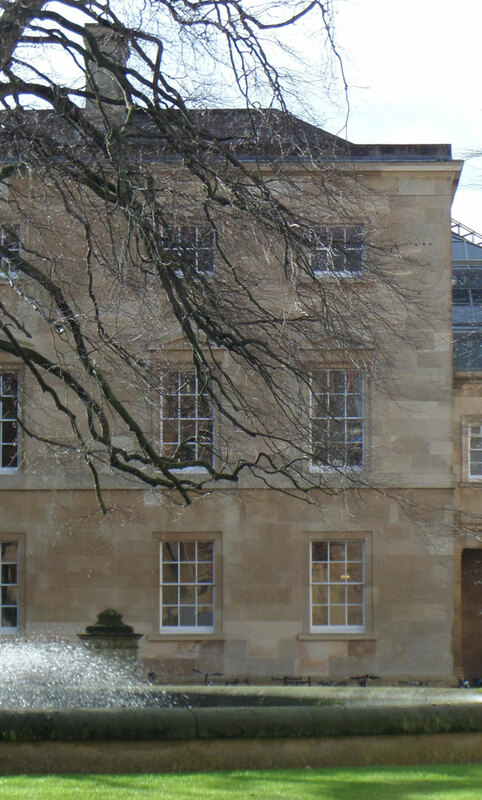 For the rest of his life his home was “2 University Press” or North House, one of a pair of joined managers’ houses in the quadrangle on Walton Street. Martha Howell Bennett Edwards was born in Hereford in c.1806 (although as she was not baptised at All Saints Church there until 21 September 1809, she may have been born a little later than the records suggest). She was one of the five daughters of John Edwards, who later became an ironmonger in Oxford’s High Street, and Martha Howell Bennett. For more on her family, see the adjacent grave where her father and two of her sisters are buried. Thomas Combe and Martha Howell Bennett Edwards met through John Henry Newman, who married them at St Ebbe’s Church in Oxford on 3 September 1840: the witnesses were Joseph Bennett, and her sister Margaret Howell Bennett Edwards. They had no children. 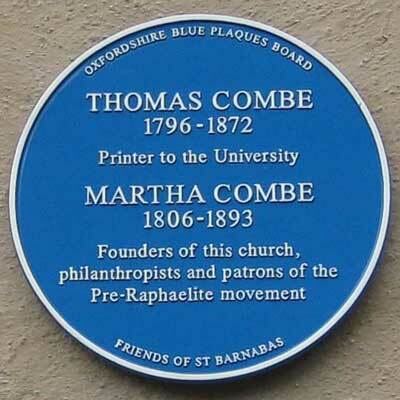 At the time of the 1841 census Thomas Combe (described simply as a printer) was living at the University Press with his wife Martha and two servants. Also staying with them was Arthur Nattali (4), presumably the son of his former partner in London. 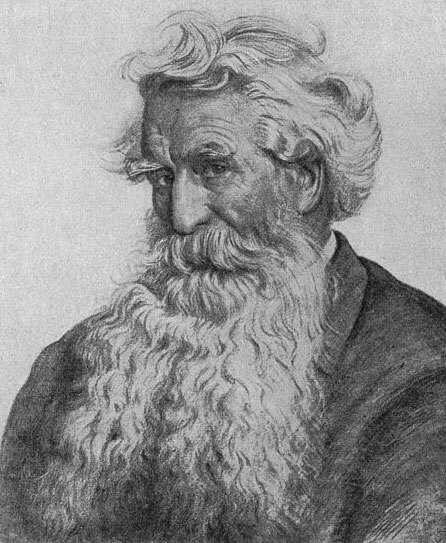 In that year he was admitted as a partner of the Clarendon Press, and in 1851 he became the senior partner, holding eight shares. Around this time he transferred from the Learned Press to the Bible Press. Their home was North House (right), which is semi-detached to South House. In 1850 Martha Combe’s maternal uncle William Bennet[t] was staying with them in this OUP hoise, and while there his portrait was painted by Charles Alston Collins (1828–1873). At the time of the 1851 census the Combes’ home was described as the Clarendon Printing Office Manager’s House. Thomas continued to be described as a printer, and he and his wife had a footman and a housemaid, Frances Ludlow (22), who was used as the model for “Convent Thoughts”, painted by Charles Allston Collins in Combe’s garden. In 1855 Combe bought the paper mill at Wolvercote out of his own pocket, and had it rebuilt and equipped, and then leased it to the Clarendon Press. He was created an Honorary M.A. by the University of Oxford on 17 March 1859. In the 1861 census Combe was still described simply as a printer, and he and his wife then had three servants (a cook, housemaid, and a general servant). Thomas Combe's niece Helen Nattali died at this house on 3 January 1863. At the time of the 1871 census Combe was described as a “printer employing 274 hands”, and in addition to the former tally of three servants, the couple had a butler. Thomas Combe was a philanthropist who did many good works. He provided £3,000 for a new chapel at the Radcliffe Infirmary (completed in 1865) and founded and provided the same sum for the Church of St Barnabas in Jericho (completed in 1869), which was intended primarily for his employees. He also started a Sunday School for the boys at the Press, at which he taught for twenty years, and gave evening classes in secular subjects. He was also a patron of the arts, especially the Pre-Raphaelites. In 1853 he bought Holman Hunt’s The Light of the World for 400 guineas. his wife at St Barnabas’s Church in Jericho. FUNERAL OF THE LATE MR. COMBE. The remains of Mr. Thomas Combe, of the University Press (whose sudden death we announced last week), were interred in Jericho Cemetery on Wednesday last. The deceased gentleman being well known, highly respected, and a generous benefactor, many thousands of people attended the funeral to pay their last tribute of respect to him. Early on Wednesday morning there were two or three celebrations of the Holy Communion in Saint Barnabas Church, where the corpse had been deposited some time before the funeral. The funeral service commenced at two o’clock, but long before that time the Church was crowded to excess, and a very large number of people were unable to gain admittance. During the service in the Church, which was intoned by the Vicar (the Rev. H. M. Noel), and the lesson read by the Rev. W. B. Duggan (Vicar of St Paul’s, the corpse was rested on stands, about four or five feet in height, in the aisle, not far from the chancel, and several large candles were burning on and around the coffin. Several hymns were sung, and the service was choral. After this portion of the funeral service had been gone through, Canon Bright preached a sermon, in which he dilated on the good qualities of the deceased. At its conclusion a hymn was sung, while the funeral procession was being formed and moved out the Church. There was no hearse, nor were there mourning coaches, the corpse being borne to its last resting place on a bier. The procession was formed in the following order:— About 300 men and boys engaged at the University Press, headed by their banner, the upper part of which was draped in black, and having a white cross in the centre; the Committee of Management of the Radcliffe Infirmary, who were represented by the Rev. J. Slatter (Treasurer), the Rev. J. H. Ashhurst, the Rev. J. Dodd, Dr. Rolleston, E. Chapman, Esq., R. Reid, Esq., and Mr. S. L. Evans; the Choristers and several Clergymen; the Corpse, the mourners, of whom the following were the chief, and who walked in the following order:— Mrs. Combe and the Rev. J. Ridgway; Mrs. Sutton and Mr. H. Nattali; Mrs. Crossley and Mr. Crossley; Miss Nattali and Mr. Nattali; Miss Crossley and the Rev. — Nattali; Miss Edwards and Mr. E. E. Hewitt [this should be "Mr E. Edwards-Hewett"]; Miss Ridgway and the Rev. G. Bailey; the Rev. J. Bennett and Mr. C. Edgington; Mrs. Stacy and Mr. Stacy; Mr. J. Martin, Mr. Moore, and Mr. T. Mallam. We also noticed among those present the Pro-Vice-Chancellor (the Rector of Exeter), the President of Magdalen College (Dr. Bulley), the Rev. Canon Liddon, Prof. Bartholomew Price, the Rev. E. C. Woollcombe, the Rev. W. W. Jackson, the Rev. E. C. Dermer (Vicar of St. Philip and St. James’s), the Rev. G. N. Freeling (Vicar of Holywell), the Rev. Cecil Deedes (Vicar of St. Mary Magdalen), the Revs. W. Leonard and W. Hutchinson (Curates of St. Philip’s), Dr. Acland, Mr. W. A. Winkfield, Mr. F. S. Palmer, &c.
The coffin, which was covered with a blue pall with an embroidered cross of red and gold, was borne by six men. The pall-bearers were the Rev. Canon Jenkins, the Rev. S. Edwardes, Capt. Bartlett, W. Hansell, Esq., the Rev. Dr. Warburton, the Rev. H. Bullocke, the Rev. D. Trinder, and W. Holman Hunt, Esq. The streets along the route were lined with spectators, and several thousand of people accompanied the procession to the cemetery. In nearly the whole of the houses in this locality the window blinds were drawn or shutters closed. On arriving at the grave, the remaining portion of the funeral service was proceeded with, and at the close an appropriate address was delivered by the Rev. Canon Ridgway. The undertakers were Messrs. Thorp and Waldie, of Broad-street, and their arrangements were most satisfactory. Although he had given so much money away, Thomas Combe’s remaining wealth at death was still approaching £70,000. † Mrs Martha Howell Bennett Combe died at her residence at the University Press, Walton Street at the age of 87 on 27 December 1893, and after a service at St Barnabas’s Church was buried at St Sepulchre’s Cemetery on 1 January 1894 (burial recorded in the register of St Paul’s Church). Her wealth at death was £77,342 12s. 1d. She bequeathed nearly all her husband’s Pre-Raphaelite paintings to the Ashmolean Museum, except for The Light of the World, which she gave to Keble College. DEATH OF THOMAS COMBE, ESQ. We regret to state that Mr. Thomas Combe, of the University Press, died suddenly at his residence in this City on Tuesday night last. The deceased gentleman was highly respected, and his death will be deeply deplored, not only by his own immediate friends, but also by his employés, and the poorer inhabitants of the north of Oxford, to whom he was a kind friend, and a generous benefactor. On Thursday in last week, only a few days before his death, he gave a treat to the children of the Parish of St. Barnabas, and at which he actively assisted. When he returned home from this entertainment he was very unwell, and was for some time in intense suffering, supposed to be from heart disease. He, however, somewhat recovered from this attack, and on Monday and Tuesday last he again attended to his business, apparently in his usual health and vigour. On Tuesday evening, after reading prayers with his family, he went upstairs to retire to rest, but was soon afterwards found in a sitting posture, quite inanimate and insensible. Every remedy was used to prolong so valuable a life, but in vain — all was over. He expired about ten o’clock, to the great grief of his wife, and sorrowing relatives, and the many to whom his benevolence had become proverbial. The immediate cause of death was angina pectoris. He was in the 77th year of his age. Mr. Combe’s connection with the University Press was of about five and thirty years’ duration — at first as junior partner with the late Mr. Parker. He effected many improvements in its management, and in fact entirely reorganized many of its departments which required to be brought up to the modern style of business. In 1857 he received the compliment of being made an honorary M.A. of the University. 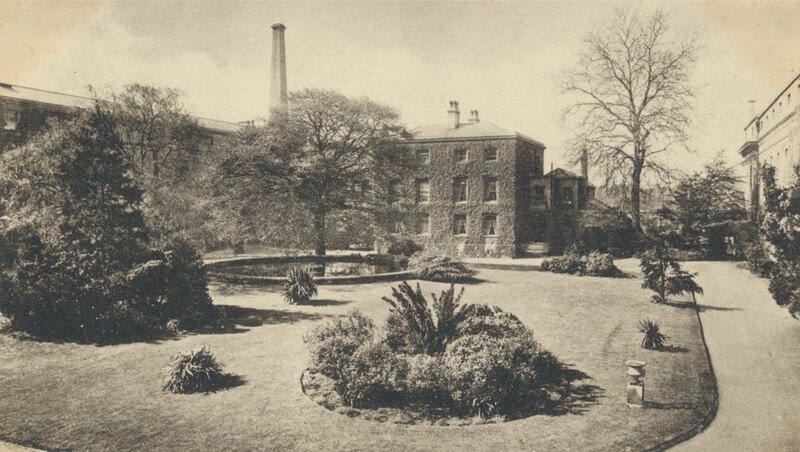 About this time he purchased the estate of Wolvercot Paper Mill, then in ruins, — rebuilt the Mill with every modern appliance, and leased it to the University Press, the paper for which establishment has ever since been almost wholly made there, under the able superintendence of Mr. J. H. Stacy, now one of the partners of the firm. Mr. Combe naturally took a great interest in the village of Wolvercot, and the re-building of the Parish Church was almost wholly the result of his spirit and liberality. His next great public work was the building, entirely at his own expense, of the elegant Chapel of the Radcliffe Infirmary, at a cost of about 3000l. He was interested in many charitable institutions, and was always a liberal supporter of Church and Educational work. His last great public act was the noble gift to one of the poorest districts of Oxford of St. Barnabas Church, which was erected in the midst of a dense population, almost entirely composed of the mechanic and labouring classes, some 2500, for which there was only Church accommodation for about 500. This Church was erected from designs provided by Mr. Bloomfield, in accordance with ideas furnished by Mr. Combe, as the result of observation of many Churches during his travels on the Continent, especially in Russia, and will accommodate a thousand people. It was built at a cost of about 3000l., the contractor being the late Ald. Castle. A Clergy House, and Schools for girls and infants, were subsequently erected, chiefly at Mr. Combe’s expense, and afterwards a Boys’ School was acquired, thus completing the religious and educational requisites of this hitherto very destitute locality. Other additions were in contemplation at the time of his decease. He lived to see the third anniversary of the dedication of the Church, which was recently celebrated with unusual splendour, and his numerous good deeds will long be remembered by rich and poor alike. It is with very deep regret that we have to announce the decease of this estimable lady, which occurred on Wednesday night at her residence at the University Press, Walton-street, at the advanced age of 87. The deceased lady was the widow of Mr. Thomas Combe, who died suddenly on the 29th of October, 1872, at the age of 77, and who was for many years the comptroller of the University Press; by her death the poor of the district have lost a most kind and sympathizing friend indeed, her generous and charitable disposition being widely known, and it was only about a week since that she personally directed the distribution of a quantity of Christmas gifts to a large number of poor persons at her own house; she was engaged in this manner in the kitchen for about a couple of hours, and caught a chill in consequence, and bronchitis intervened; Mr. H. P. Mallam was in attendance, and finding that Mrs. Combe’s condition was becoming critical, Sir Henry Acland was called in on Tuesday evening. Sir Henry paid several visits, but it was obvious on Wednesday that the patient was gradually sinking, and she passed away at about ten o’clock that evening. The flag on St. Paul’s Church floats half-mast high. The funeral will take place on Tuesday next, the first part of the Burial Service being in St. Barnabas Church at 2 p.m, and the interment will be in St. Sepulchre’s Cemetery, Walton-street; there will also be a celebration of the Holy Communion at St. Barnabas at 8 a.m. on Tuesday. The executors of the deceased lady are the Master of Pembroke, the Warden of Keble, and Mr. H. P. Mallam.